Short update today, before I take off for the last leg of my trip. 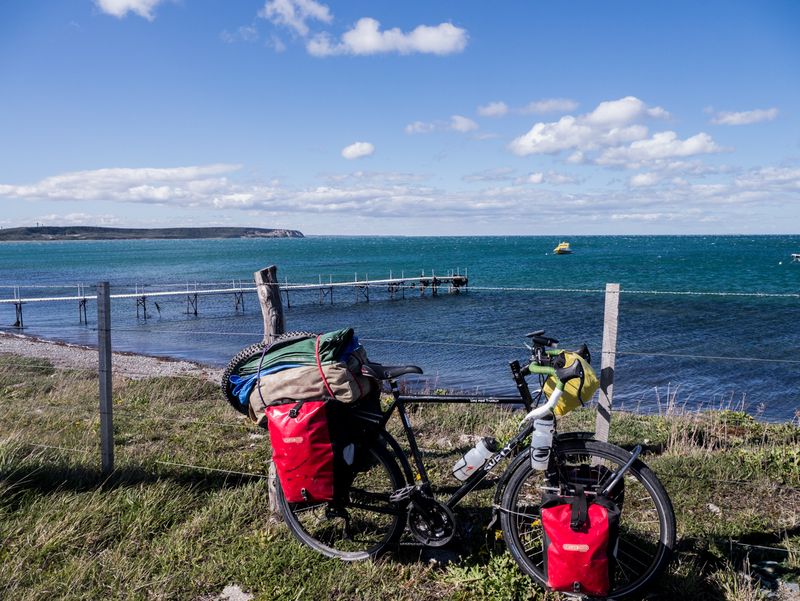 After 250km in two days riding mostly with the wind, I was delayed in Punta Arenas by ferry schedules and weather. 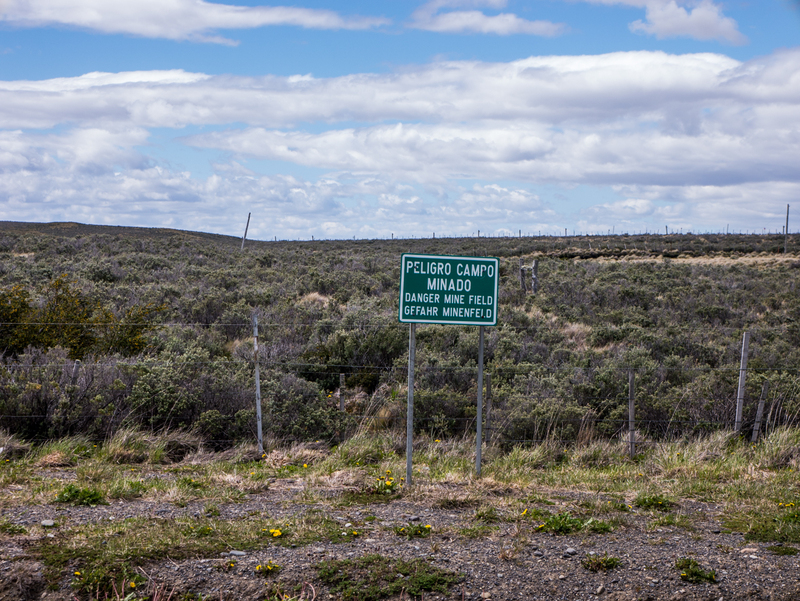 The ferry company that crosses the Magellan Strait to Tierra del Fuego doesn’t operate unless the seas are in good condition, and didn’t run on Monday, so I spent a few days enjoying Punta Arenas. This was the biggest city I’d been in in two months, and the activity of a “big” city was sort of overwhelming. 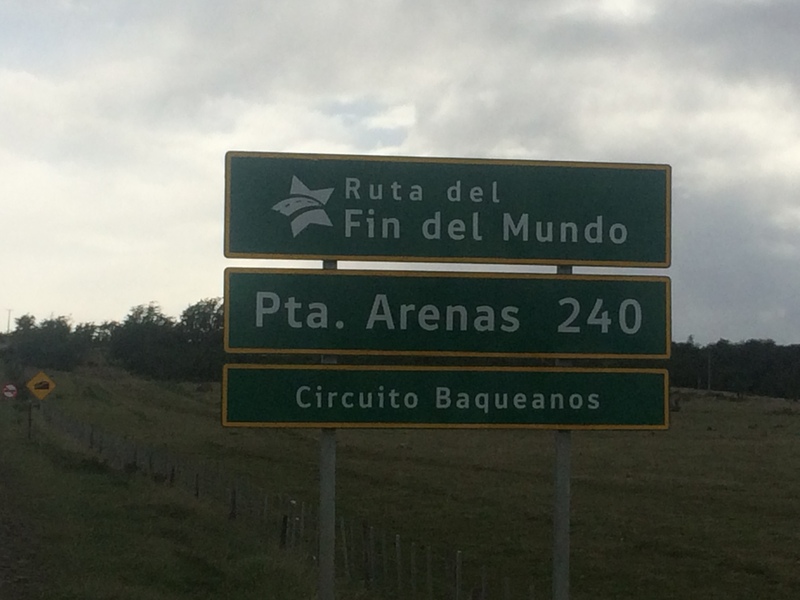 Finally having made the crossing this morning, I’m now in Porvenir, the capital of Tierra del Fuego. The fact is that although it’s not particularly interesting to look at, Tierra del Fuego is one of those goals that I’ve been waiting to make it to for awhile. I grew up reading books by Brian Jacques. He wrote the childrens’ series Redwall, but also a lesser-known series called Castaways of The Flying Dutchman. In the first book of this series, the main character and his dog are washed up on the shores of Tierra del Fuego after a failed rounding of Cape Horn. This land and its cool name stuck in my head, and I immediately looked on a map to see where it was. I distinctly remember for that for months, whenever I looked at a map (which was a lot. I liked maps.) I would look for “Tierra del Fuego” to see if it was labeled on it. So I’m finally here. And for personal reasons, that’s pretty cool. Start of the grind. Not much to photograph on this stretch but the really epic “X at the END OF THE WORLD” road signs. I’ve gone from Region X, to Region XI to Region XII in Chile. 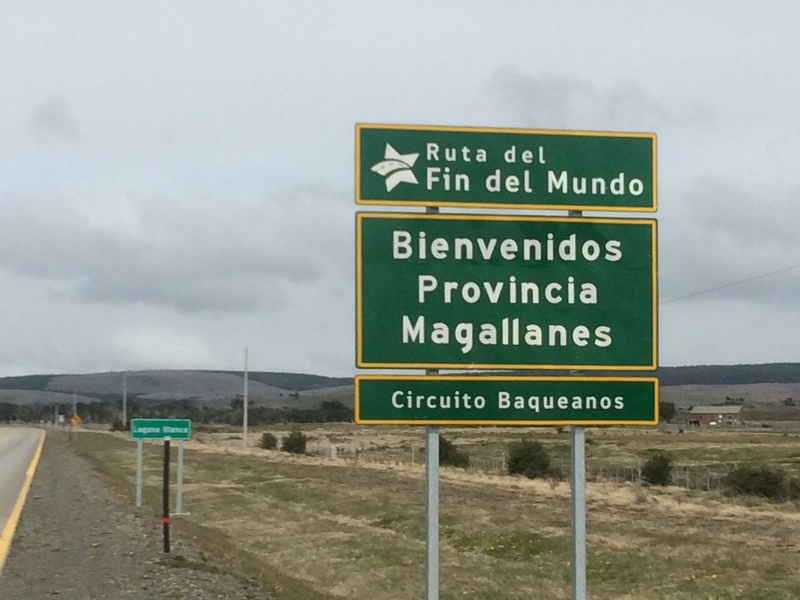 Region XII is Región de Magallanes y de la Antártica Chilena. This is a province in it. 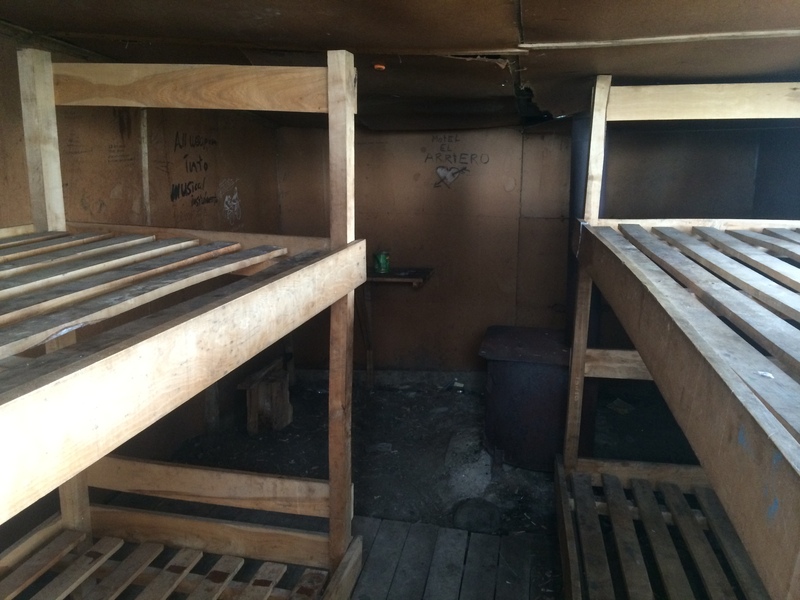 So happy to find this little house by the side of the road for one night, protected from the wind. This is a monument to the wind. Nothing else near it. 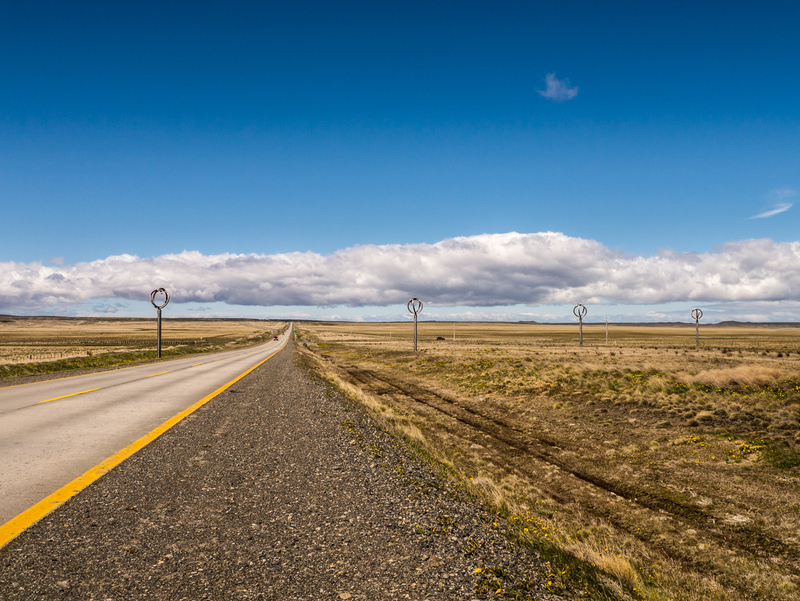 They just built a monument to the wind in the middle of nowhere. At close to 100km of nasty crosswinds on the day, seeing this was absurd. I think they built it for cyclists in my position. The ex-special forces Lt. Col I’m staying with tonight says that this will only be the start of the military infrastructure I will see down here. Between Chile offering support to British planes during the Falkland War to wars between Chile and Argentina, this may become a common sight. 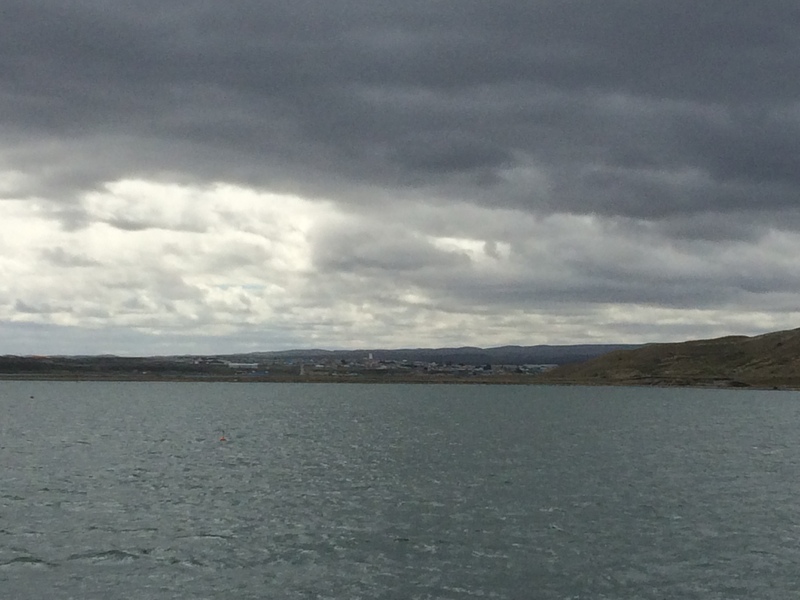 The Strait of Magellan. Really cool. That’s it for now. Final 400km grind coming up.